There are so many social media platforms out there. You have an Etsy store, but aren’t sure what to do to market it on social media. Use all of them, a few of them, none of them? Well the last one is bunk, you need to use social media. 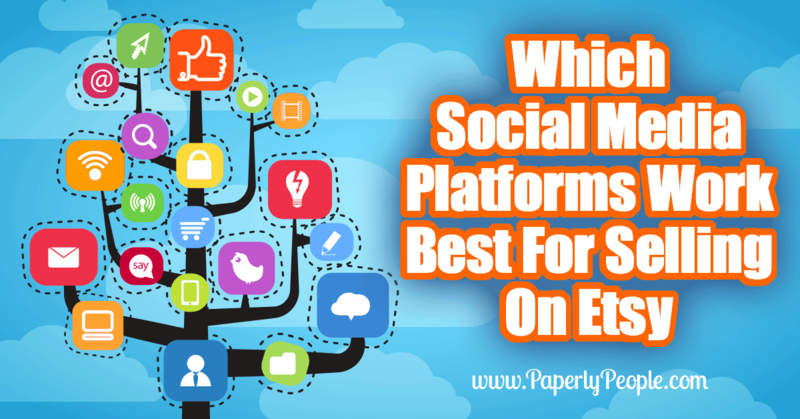 Here’s how to figure out which social media platforms work best YOU selling on Etsy! The best way to start figuring it out is to know your niche market. If you do, great! If not, start by asking yourself some basic questions. Who buys your products? Who are your customers? What are their hobbies and lifestyles? What do they like about your products? Stop and think and list who are the most drawn to your products, then list characteristics and demographics like age, location, kids or no kids, income level, and which social media sites do they use and why? That last question will be a huge help in figuring out what platform or platforms to use. 1. Tammy a gal in her 20s who is getting married and is looking for DIY wedding favor ideas. If you are selling supplies on Etsy you could make kits and share them on Pinterest. 3. Last but not least, what if you are SERIOUSLY into planning like I am. My Etsy store is full of tools to help Etsy sellers SOOOO I spend a lot of time answering questions Etsy sellers have in Facebook groups, both my own and others. This leads them to “knowing me” and then they check out my store or products. Here is a post I did on Facebook for one of my courses on Skillshare, I put this kind of post in my group anytime I launch a product on Etsy too! There are a huge amount of them, each with a specific type of user you can target (that’s where knowing your niche comes in handy). Facebook – Let’s start with the big kahuna! Facebook has the highest number of users and is great… if you are good at Facebook or have money to pay for advertisements. If you are just getting started and have a limited knowledge of selling on social I would not start with Facebook. Instagram – Instagram is great! It is a visual platform that doesn’t require a lot of knowledge to get started on. Some things to make sure you know about are photography and hashtags. 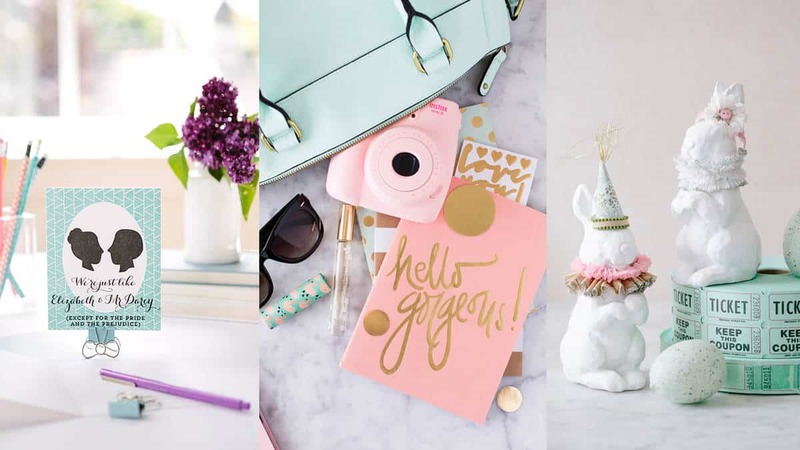 Pinterest – Pinterest is another great channel, but please don’t think that you are going to be able to just pin up your items and they will sell. You will need to have a strategy of posting your items AND links to interesting content that will also help your products. Twitter – Twitter can be a good way to connect and find buyers using hashtags. It really is only good though if you are interested in being on there regularly and interacting with the other users. Blog sites – Websites or blogs are my favorite way of creating a “hub” to send buyers to. With a website you can collect email addresses, write informative posts and generally have a home base to promote your products. This site is my “home” for my paperly people Etsy store! YouTube – Last but not least is YouTube. I find YouTube to be amazing way to make graphic content that will help buyers choose your store or products over your competition. As we all know, Etsy shoppers are weird, many of them want to buy for a reason and if they get to know you on video they are much more likely to buy from you on Etsy! The best advice is to start with one or two and expand from there, just don’t overextend and spend all your time on social media and none on your Etsy store! Try the one or two you are most familiar with, let’s say Facebook and Pinterest, and go from there. Get your pages up and going, interact with buyers and build your business. Because I like pictures and graphic design I use Pinterest and Instagram the most. If you are a “people person” who loves connecting then Facebook might be your best bet. My best advice is to try them for at least 3 months and then make a decision about whether they are worth your time! I only really use Pinterest to promote my planner pages and that shows in my Etsy stats! As you can see below, my stats show 223 click throughs from my Pinterest pins to my shop over the last month. By tracking which social media networks send you the most traffic, you can where your efforts are best spent!